The recovery process for drug or alcohol addiction begins once the person struggling with dependence realizes that he or she might need help. Even though the decision for a treatment program often comes during the early stages of recovery, it is arguably the single most important factor when it comes to guaranteeing long-term sobriety. After someone struggling with dependence admits that they have a problem, the question now becomes “What do we do next?” With so many treatment facilities available, what is the best method of getting help? The fact is that residential rehab centers, also known as inpatient drug rehab, are considered the gold standard as far as addiction treatment programs are concerned. These inpatient drug rehab options not only offer around-the-clock care, but also provide a long-term option that is capable of enabling lasting changes. When someone enrolls in an inpatient rehabilitation facility, they are giving themselves the thing that they need to get better – time and focus. This allows people to start their recovery process properly. The choice between the right program and the wrong program can be the difference between relapse and a lifetime of sobriety. There are a number of different benefits that an individual can receive at inpatient rehabilitation facilities that they are unable to receive anywhere else. In fact, these benefits occur on all treatment levels: physical, psychological, and emotional. There are immediate physical benefits to enrolling in an inpatient drug rehab program. If someone has a physical dependence on a drug or on alcohol, ceasing use is likely to lead to withdrawal symptoms. This means that in all good inpatient treatment centers, the initial focus is going to be on detoxification. Rather than quitting ‘cold turkey’, a certified medical detox facility is going to help the addict through the withdrawal process. This virtually eliminates the risk of an overdose (because a patient does not have access to the drug) and it drastically increases the chances of success. With the addict being enrolled at an in house rehab center, it takes them out of the immediate environment that might have caused them to use in the first place. People assume that a desire to use ‘simply happens’, but there is more to it than that. Specific triggers for drug and alcohol use may include sounds, smells or sights. Additionally, stress can also play a major factor during relapse. This is why being in an inpatient drug rehab facility eliminates a number of different issues. Here, in these inpatient rehab facilities, clients are able to avoid all those triggers and not feel as though they are constantly being tempted. Not only is this important for mental support and to eliminate the urge to give in to immediate cravings, but it also means that any unforeseen complications can be dealt with. Having medically-qualified personnel available in the facility means that these staff members can help ease the symptoms of withdrawal, but also allows them to be acutely aware of any developments that might pose a physical threat to the addict. There are a number of psychological therapies offered at most inpatient rehabilitation centers. This wide range of treatment options will help address the present state of transitioning into abstinence, the patient’s drug history, and their future in recovery. Good programs are going to offer a number of different psychotherapy options. 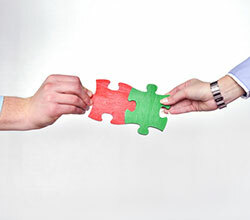 The reason behind it is that no two people are the same – meaning that their individual circumstances are going to determine the different types and styles of treatment that might work for them. Some facilities consider these to be the spiritual or mental benefits, depending upon the philosophy of the program, the emotional benefits that patients receive during their stay at inpatient drug treatment programs cannot and should not be minimized. Even though the physical dependence on drugs and/or alcohol is a major component in dependence, the peace of mind and emotional safety that individuals receive after enrolling in an inpatient treatment center offer a critical component in relates to their treatment. Just picture it, there are no sick or screaming children, no stress from work, no tension with people over past instances, no arguments with significant others or family members, and no bills to pay. Enrolling into inpatient addiction treatment allows for people to have a buffer between them and the world – this gives them the opportunity to focus exclusively on getting better. 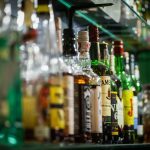 One of the reasons that in patient alcohol treatment is successful is because alcohol is unlike any illicit substance. Anyone over the age of 21 is allowed to purchase alcohol legally. Not only that, but in most states, they are able to do it in a number of different places. Whether it be bars, hotels, restaurants, gas stations, etc. This is why inpatient alcohol rehabilitation is such an important factor – the substance of choice is freely all around. By opting for in patient treatment for alcoholism, the user is taking themselves out of the permissive environment. While no one might bat an eye if someone purchases a 6-pack on the street, this is not possible during in patient alcohol rehab. 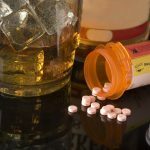 As a result, in house alcohol treatment centers offer a safe haven where patients are able to become accustomed to not only living a sober life, but also with the constant temptations that they are going to have to deal with. Inpatient alcohol rehabilitation centers are able to provide an environment that an outpatient treatment simply cannot. Imagine being able to go out at night, being able to watch television and seeing alcohol commercials pass along and having the ability to go out and buy alcohol. This is not possible with inpatient alcohol treatment centers. That is why inpatient alcohol rehab centers offer patients solitude from their own addiction and the ability to focus on sobriety. Most inpatient treatment facilities will have longer stays. Even though this might sound like an inconvenience at first (having to be away at a different location, away from friends and loved ones) it provides a number of substantial benefits that cannot be overlooked. A study in the journal Drug and Alcohol Dependence suggested that those patients who stayed in their inpatient rehabilitation longer had better rates of recovery. Remember that the lessons learned during recovery need to become second nature in order to help make a difference. This is why longer stays result in better-adjusted patients. Is it important to remember that sobriety does not equate ‘solved’. Just because someone is sober, that does not mean that he or she will not experience triggers that might cause him or her to want to use later on. An article published in the Journal of Social Work Practice in the Addictions highlights the need for a cultural transformation for the people who are in recovery from drug addiction. Recovery is more than just saying, “I hereby vow to never use again.” It means coming up with an entirely new way of dealing with common stresses and developing an entirely new lifestyle. This is not a process that can be completed in mere weeks, even months. It might be a process that takes years to accomplish, and with some patients, it is something that is never quite done. This is one of the reasons that inpatient drug and alcohol treatment options have higher success rates. It gives the individual the two most important components needed for treatment – time and education. It gives them a chance to be able to see what a sober life is like, what changes need to be made. Most people need to learn how to keep their addictions under control. Outpatient programs AFTER inpatient drug treatment centers can help with that – but they are a part of the aftercare process, a part of the healing process, not actual components in and of itself. As previously mentioned, if addicts are in a live in rehab facility, it would make sense that they are able to focus. 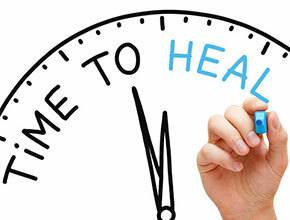 In house treatment centers keep people occupied around the clock. In house drug rehab removes the temptation to go the nearest dealer to get high or a liquor store to get drunk. These are benefits that an inpatient drug rehab center has over outpatient treatment. This is why in patient rehab centers will always provide a far better alternative for addicts compared to outpatient programs. There are still important questions that people need to address, such as how much does inpatient rehab cost? Fortunately, it is possible to work with a number of facilities to obtain affordable inpatient drug rehab. Oftentimes insurance will foot at least part of the bill. In patient rehab programs may or may not be fully covered, this is important to look into. When it comes to getting the right recovery treatment, there is a reason that inpatient drug rehab and inpatient alcohol rehab are considered the “best possible option,” it is because they consistently been proven to be the most successful option for recovery. Considering how high the stakes are, can you afford to utilize anything other than the best option if you or someone you know struggles with drug or alcohol addiction? Look for the best inpatient rehabs and make your decision accordingly.